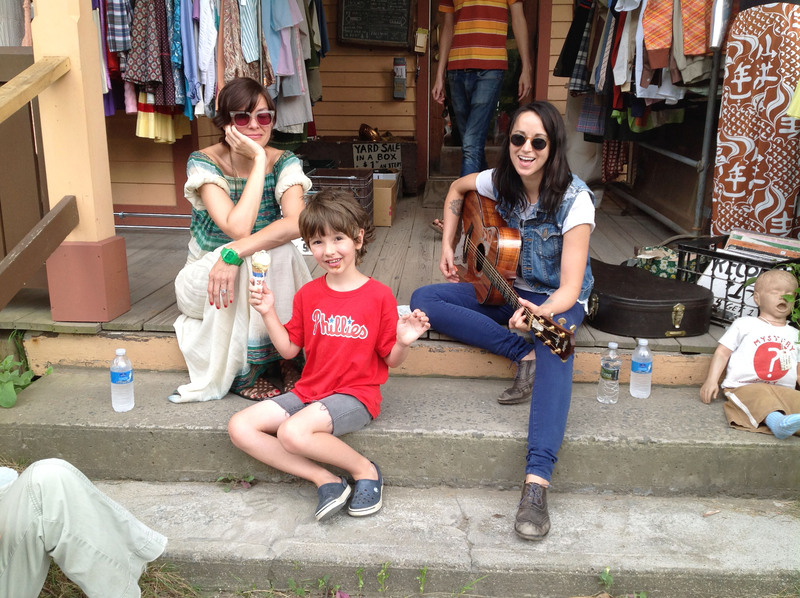 Ambrosia Parsley and Holly Miranda front porch concert – free! 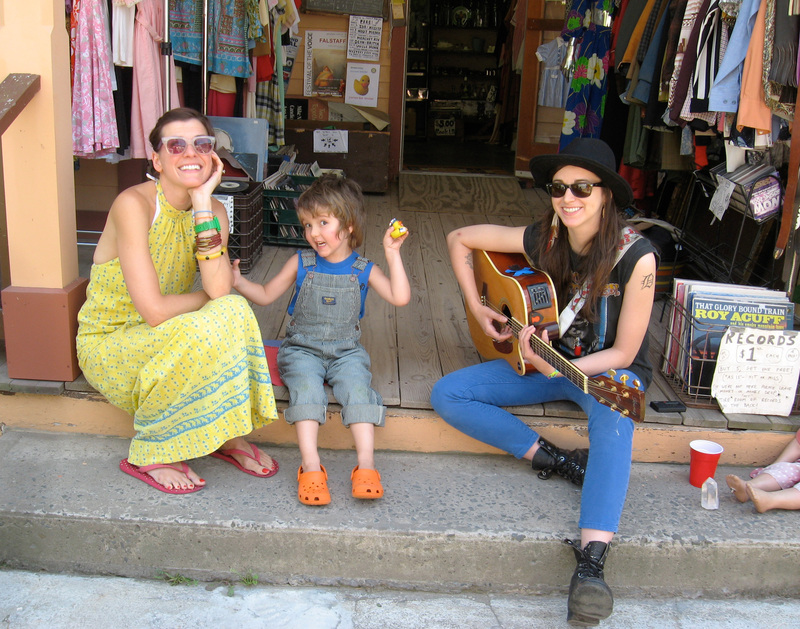 Our wonderful friends Holly Miranda and Ambrosia Parsley will be paying a visit to the Mystery Spot’s front porch this Sunday, July 21, at 3 PM to sing a few songs together. If you happened to be at Holly’s porch show a couple of years ago when Ambrosia joined her for a duet, you have an idea of how special an event this will be. 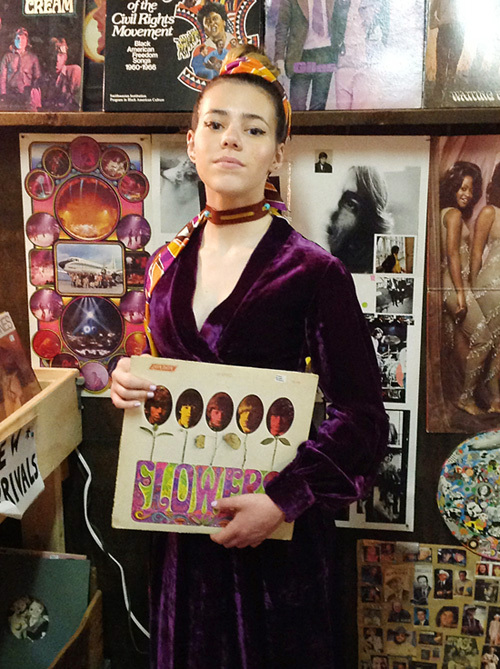 Both Ambrosia and Holly will have new records coming out soon, and we can’t wait! In the meantime, here are a few goodies for you: a photo of Ambrosia and Holly and a little friend from 2010, a link to their fantastic (and free to download) Mystery Spot Ditties that they wrote and sang especially for The Mystery Spot, and a video of their beautiful take on Buddy Holly’s True Love Ways. Ambrosia Parsley, Holly Miranda, and The Captain on our front porch, 2010. 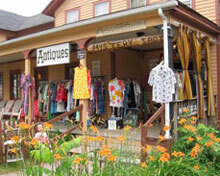 We’re now open six days a week for all your vintage shopping needs. 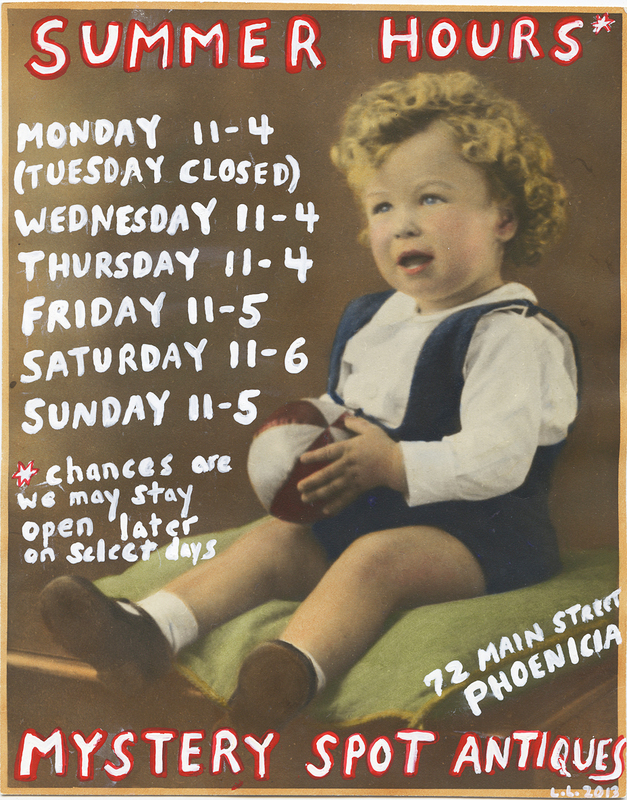 (Please note…even though we’ve posted early closing times, chances are we’ll stay open later if town is hopping and there are still folks shopping! Always feel free to call to confirm).